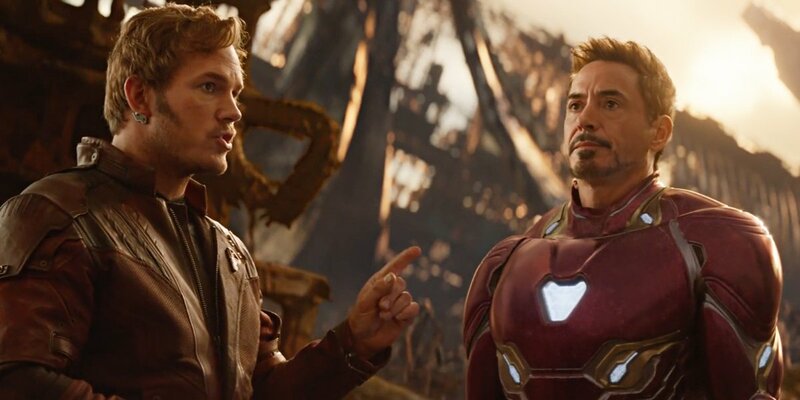 As we creep closer and closer to the release of Joe and Anthony Russo’s Avengers: Infinity War, it’s becoming more and more clear just how absolutely gigantic it’s going to be – in every sense of the word. Set to be the culmination of the past 10 years of the Marvel Cinematic Universe – which consists of 18 movies, for those keeping track – it’s got a lot to juggle, with nearly every MCU character (except maybe Hawkeye?) finding themselves involved in some way and tons of loose, dangling plot threads to tie up. Of course, it won’t have to shoulder that task alone, as the currently untitled Avengers 4 will pick up wherever Infinity War leaves off. But between the two of them, we’ll finally get a conclusion to a decade’s worth of storylines and character arcs. As such, it’s no surprise to now learn that the upcoming event movie to end all event movies will be the longest Marvel Cinematic Universe outing yet, coming in at a whopping 156 minutes (as was rumored). That’s only 9 minutes longer than Captain America: Civil War (147 minutes), but again, it’s enough to give the pic the longest runtime of any entry in the franchise to date. And if you’re still craving more Marvel goodness even after leaving the theater next month, know that you won’t have long to wait to get your fix. That’s because, Ant-Man and the Wasp has been angled as the follow-up act to Joe and Anthony Russo’s super-sized ensemble piece and arrives on July 6th, before Captain Marvel takes flight in early 2019 – which will be our first chance to meet the titular hero after her Infinity War role was cut. Speaking of which, Thanos will bring Earth’s Mightiest Heroes to their knees this April when Iron Man, Captain America, Thor and the rest of the gang assemble for Avengers: Infinity War. And at 156 minutes in length, you can bet that it’s going to be “mind-blowingly epic.” Or so says Benedict Cumberbatch.